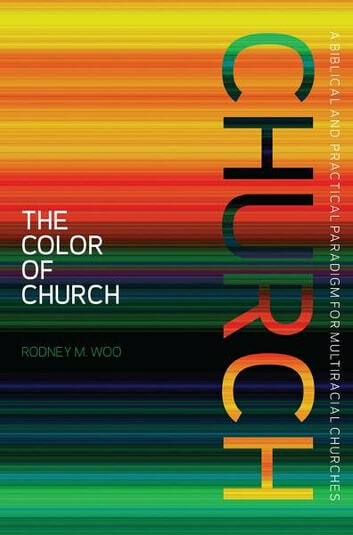 In this thought-provoking book, Rodney Woo establishes a biblical foundation for multiracial ministry, provides a clear picture of the current reality of the relationship amongst the races in our society and churches, and offers practical guidance to help implement multiethnic ministry. Woo takes the reader step-by-step through the multiracial transformation of a congregation. As pastor of Wilcrest Baptist Church in Alief, Texas for over seventeen years, Dr. Woo led this church from an all-Anglo declining congregation in a transitional neighborhood into a multiracial congregation that is now more than sixty-five percent nonwhite with more than forty-four different countries represented. 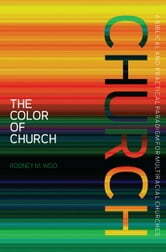 The Color of Church unfolds the story of how God has helped Wilcrest understand the biblical principles of a multiracial church that He progressively revealed in Scripture. Each chapter parallels the biblical model or mandate and the Wilcrest transformation story from a uniracial to a multiracial congregation. In 1992, Wilcrest had 180-200 people in worship of which 98% were anglo. Today, the congregation of 450-550 is represented by 44 different countries with an anglo population of less than 40%. The Color of Church adopts the definition that a multiracial congregation is composed of racially diverse believers united by their faith in Christ, who make disciples of all the nations in the anticipation of the ultimate racial reunion around the throne of God.